I did enjoy watching the BAFTAs and as you say it was all pretty predictable. The wins for “The King’s Speech” were a foregone conclusion – especially as it is a British ceremony. My girlfriend was over the moon with Helena and Hardy’s wins. I didn’t even know who Tom Hardy was until she told me. By the way, what is your problem with Hailee Steinfeld? She is 14(!) and she has only been in one motion picture to date. Give her a chance. She may very well go on to have a successful career, in the same way that Christian Bale did. 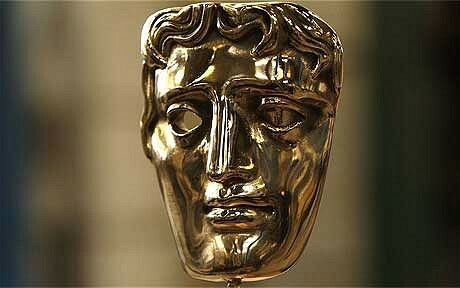 Although the BAFTAs are a good indicator, they ought not to be trusted as far as the Oscars are concerned. I’m taking nothing for granted – the Academy may surprise us in a few of those categories. The Oscars ceremony is less than 2 weeks away! Excited. it was very predictable! the king’s speech shouldn’t have got best supporting actor or actress, it should’ve gone to Christian Bale and Amy Adams. Maybe not even Amy Adams, why not Barbara Hershey? Totally agree. I was getting sick of the King’s Speech winning everything. Think it will be different for the Oscars. Bale for supporting actor indeed. And Michael Please (short animation) did a talk for us a few months ago, so was good to see him win. 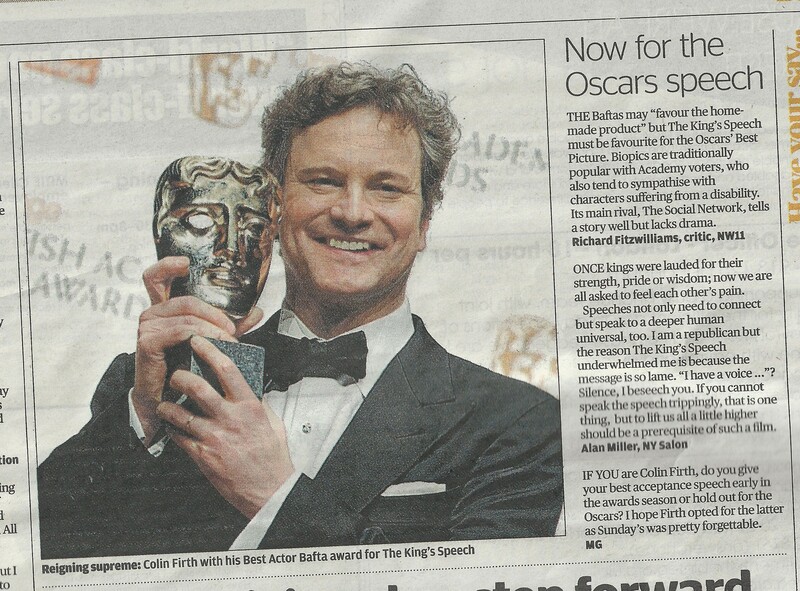 Nice getting the Evening Standard extract. I hear from the “inside” that she’s actually very pleased with the results of the films (especially the later ones).